The nursery is the way our church gets to show its newest members the love of Christ. This love is shown through cuddles & snacks, toys & bubbles. Our loving nursery workers get to nurture and comfort these children ages birth to 2 years old during both 9:30 and 11:00 services on Sundays, as well as Wednesday nights as needed. 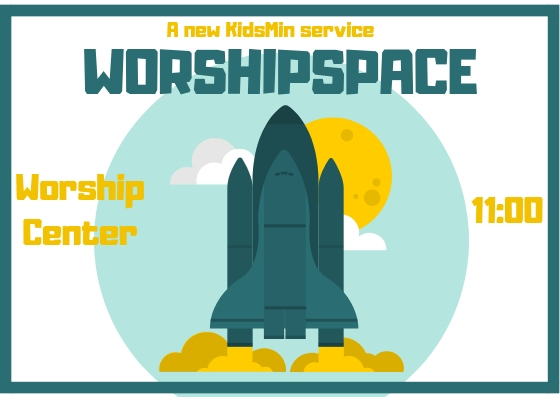 On Sunday mornings at 9:30, kids in Kindergarten—5th grade get to have their very own worship service full of music, small group time, games, prayer and scripture. Their small group leaders help to connect the dots of scripture to everyday life and Ms. Katie ties everything together at Kids Worship Camp. Our curriculum is 252 Kids from Orange. For ages three to five, we offer a Pre-K class on Sunday Mornings! The kids get this time to learn about the Bible, God and Jesus in a fun and exciting way! Our teachers have a great time every Sunday getting to help the kids learn the foundation of our beliefs. We use First Look from Orange as our curriculum for this age group. Teaching our kids what worship is while giving them the opportunity to apply what they learn and share with the entire Ford’s Chapel Family. During our mid-week programming, we enjoy family dinner at 5:30 and then split into age-based small groups (kids, youth and adults) to explore a church-wide topic for the evening. From 6-7pm the kids explore Bible stories and scripture through study, song and play. Throughout our year, we will celebrate holidays or special times in our church. Past events include Easter Egg hunt, Neighbor Day, Family Day at the Park and our Back to School Bash. Many new events are on our horizons so please keep an eye out for the next upcoming event! We are incredibly thankful for our weekly chapel services and shared events with the Ford’s Chapel Learning Center!